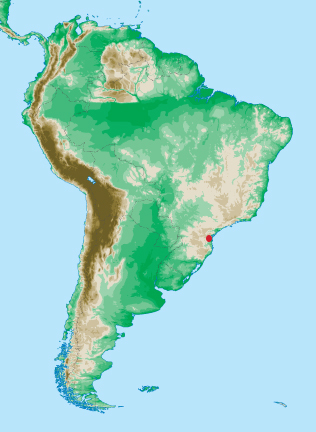 Distribution: Brazil: Paraná, Santa Catarina. Luederwaldt, H., 1935. Monographia dos lucanideos brasileiros. Revista do Museu Paulista. 19: 447-574 + 4 plates. Weinreich, E., 1963. 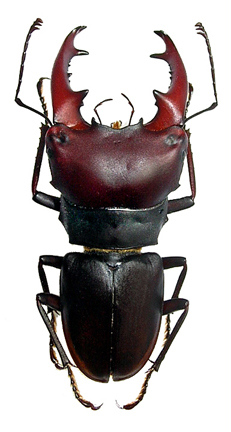 Revision südamerikanischer Lucanidae (Ins. Col.), III. Die Gattungen Pholidotus, Aegognathus, Macrocrates, Auxicerus, und Ergänzungen zu Metadorcus, Scortizus, Beneshius, und Sclerostomus. Senckenbergiana Biologica 44: 183-212. Little is known about the biology of Macrocrates spp. The specimen shown here was collected in flight on a sunny afternoon. (P. Grossi, pers. comm).